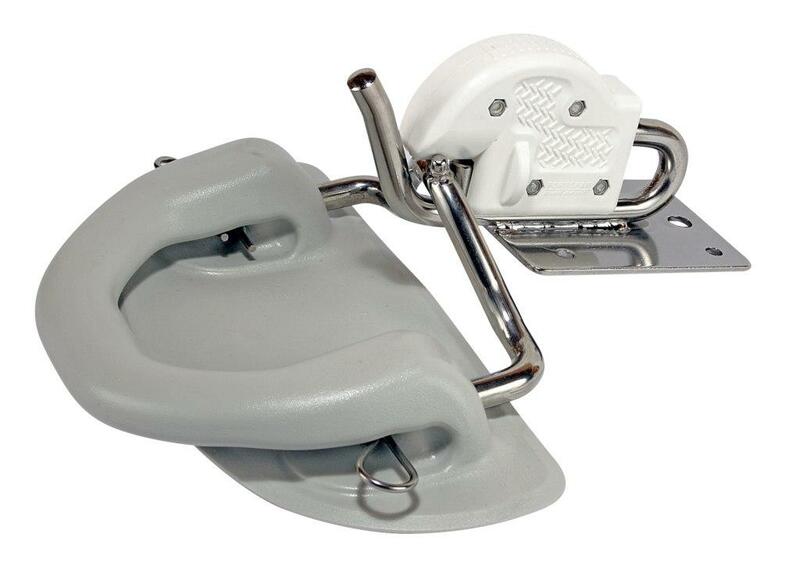 Quick Davit Replacement Pads & Yokes allows you to attach a new inflatable to existing davit heads on your swim platform. SOld as a pair of pads with yokes. These are rubber pads that are glued onto the inflatable dinghy and stainless steel yokes that are attached to the pads. 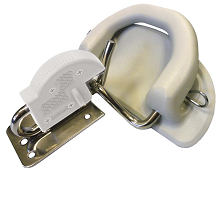 The yoke is the part that also snaps into the davit head on your swim platform. Convenient integrated handles in the mounting pads help entering, exiting, and manoeuvring. Recessed attachment pins for increased safety and comfort. Softened design helps prevent damage to your boat hull from scraping. Solid stainless construction for many seasons of trouble free use. No loose parts to drop in the water. Color: gray only available. Sold as a pair of pads with yokes. ADHESIVE SOLD SEPARATELY. Please see our related products. For Full Installation instructions or Adhesive only instructions see above near pictures.